Police busted nearly 400,000 people for carrying small amounts of pot in the last decade, making New York City the world leader in marijuana arrests, civil rights advocates said Tuesday while unveiling a study criticizing the war on drugs. Police officials -- who have long argued that the low level drug arrests help drive down more serious crime -- countered by saying the report's data was flawed and its findings misleading. The study by Queens College sociologist Harry G. Levine, titled "Marijuana Arrest Crusade," accused police of purposely singling out minorities during the 10-year crackdown. It said that data provided by stat Division of Criminal Justice Services showed that between 1997 and 2007, 52 percent of the suspects were black, 31 percent Hispanic and only 15 percent white. The findings are further proof that "racial profiling is a fact of life on the streets of New York," Donna Lieberman, executive director of the New York Civil Liberties Union, told a news conference at the group's Manhattan headquarters. Laws were revised in the late 1970s to largely decriminalize carrying small, concealed stashes of marijuana, Levine said. But he claimed police routinely "manufacture" arrests for possession in public view -- still a misdemeanor -- by stopping young black men on the street and goading them into emptying their pockets. According to the study, arrests for marijuana possession began skyrocketing in the late 1990s during the Giuliani administration -- a trend that continued under Mayor Michael Bloomberg at an estimated cost of between $50 and $90 million a year. There were 39,700 arrests last year alone, according to the study. The 2007 total makes the city "the marijuana arrest capital of the world," Lieberman said. The study says New York deserves that title because it devotes far more resources to arresting and jailing marijuana offenders than other large cities in Europe and elsewhere. It also cites a previous analysis of FBI data showing that five of the top 10 counties with highest per-capita arrest rate were the five boroughs. Police disputed the study's finding that most of the misdemeanor arrests involved suspects carrying only a few grams of marijuana inside "blunts" or small plastic bags. Typically, they said, the suspects were either smoking pot in public or carrying more weight: Between about one and eight ounces. NYPD spokesman Paul Browne called Levine an "advocate for marijuana legalization," and accused the NYCLU of using the sociologist "to mislead the public with absurdly inflated numbers and false claims about bias. 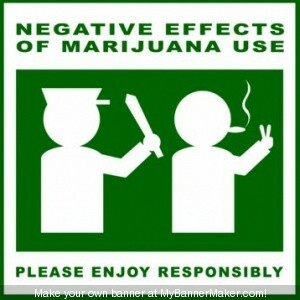 ""If the NYCLU is for legalization, it should just say so without resorting to smears," Browne said. Nice post having excellent contents.I have been searching for this type of posts.Thank you so much for sharing.Keep blogging. Thank you very good and a healthy writing.I am pretty much pleased with your good work.I surely will visit your blog again later.Keep up post continue and stay tune with us. Hey dude, I agree with you. It is necessary to ensure the functioning of ones website. The new techniques being introduced helps in this. Seo consultants are there for the local search optimization. When the customers are looking for their required products or services in their territory or region, the local optimization is done through specified keywords according to the geographical map. Our search engine optimized services will help you optimize your business for such local business listing searchers. It is much more beneficial and convenient to have business once you know your contiguous business geographically. First You got a great blog. I really like the tips you have given..It will help people like me a lot.Thanks for sharing. Nice article.....This blog will helpful to all the visitors, thank you for the nice information..